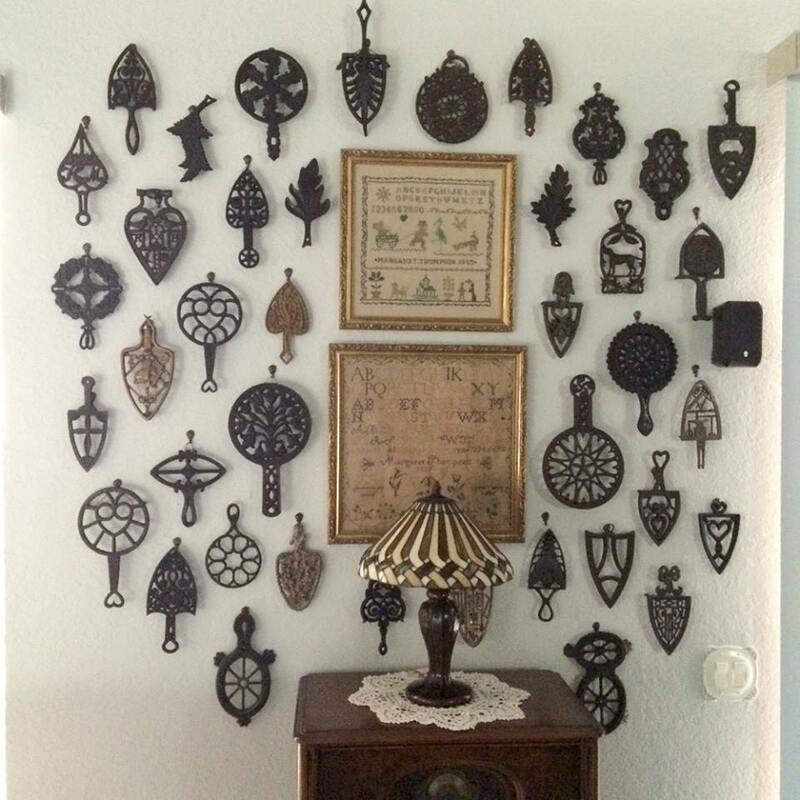 Trivets and sadiron stands are not only wonderful to collect, but also quite interesting and decorative. Fortunately, walls can be utilized to display this type of collection without sacrificing floor space. 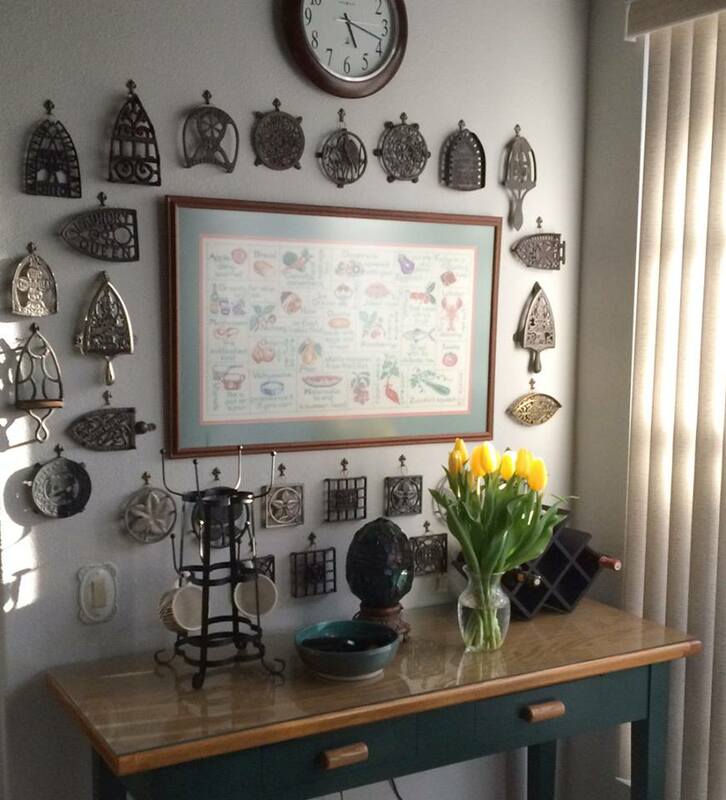 My favorite places to display trivets are the kitchen, dining room, and family room ~ areas where they can be viewed and enjoyed on a daily basis. And best of all, they’re easily accessible to take down when doing further research … or to share with a guest. 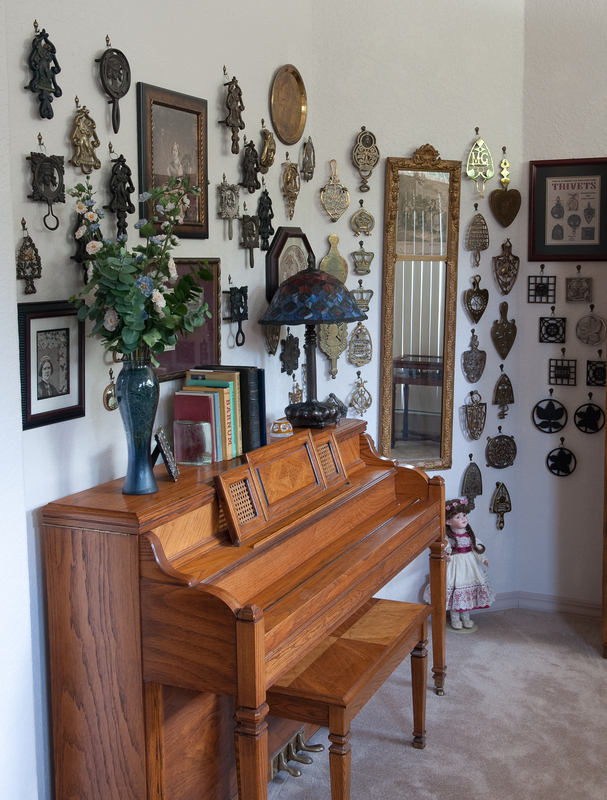 A collection of Jenny Lind trivets (below) seems especially appropriate to display over a piano. 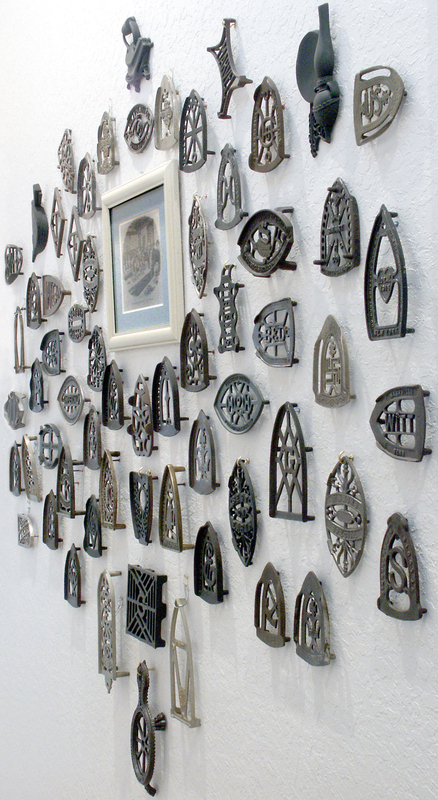 Hanging trivets is a matter of personal preference. Years ago I used wall anchors and cup hooks. Unfortunately, as I’d reorganize the displays, each old wall hole required spackling and re-painting. Now I rely on decorative push pin hangers. They insert easily- no hammer needed- and each can support up to 10 pounds. Touch up is a breeze! ♥ Galvanized Steel, which blends in well on nickel-plated trivets. ♥ Copper; it’s great for brass trivets. 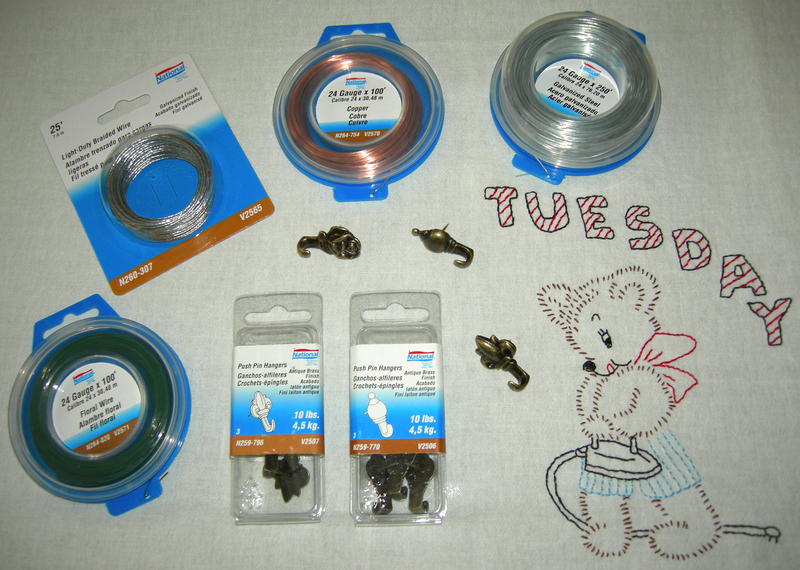 ♥ Dark Green Coated Floral Wire, which is hardly visible on cast iron. FYI- I’ve tried using soft, fuzzy pipe cleaners to make hanging hooks for trivets. It seems like a great idea, but not in humid Florida! The pipe cleaner fibers retained moisture and left either tarnish (on brass) or rust (on cast iron) underneath. These photos illustrate just a few of the different ways I’ve arranged my trivets and sadiron stands through the years. I hope they inspire you to create a unique wall display of your own. 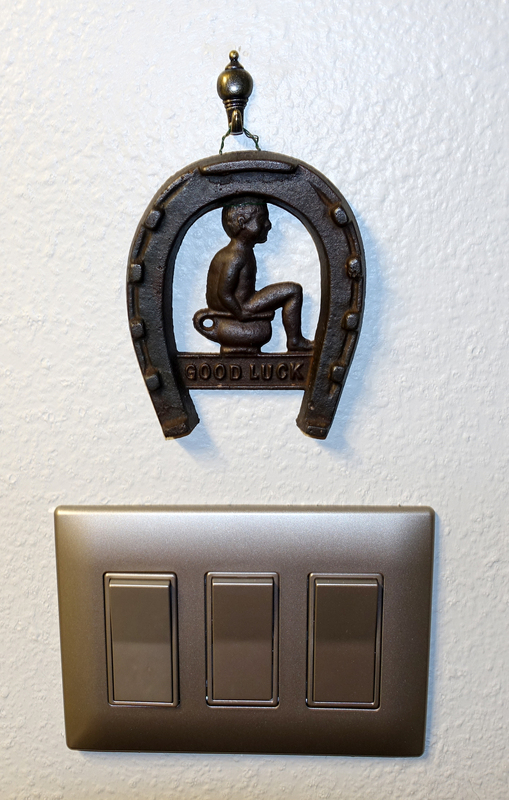 And finally, even a single casting can make an impression … this small horseshoe plaque trivet found its perfect spot in a guest bathroom! 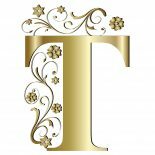 This entry was posted on February 15, 2017 by Lynn Rosack in Antique Trivets & Stands, Collecting Basics and tagged hanging trivets, Jenny Lind trivet.